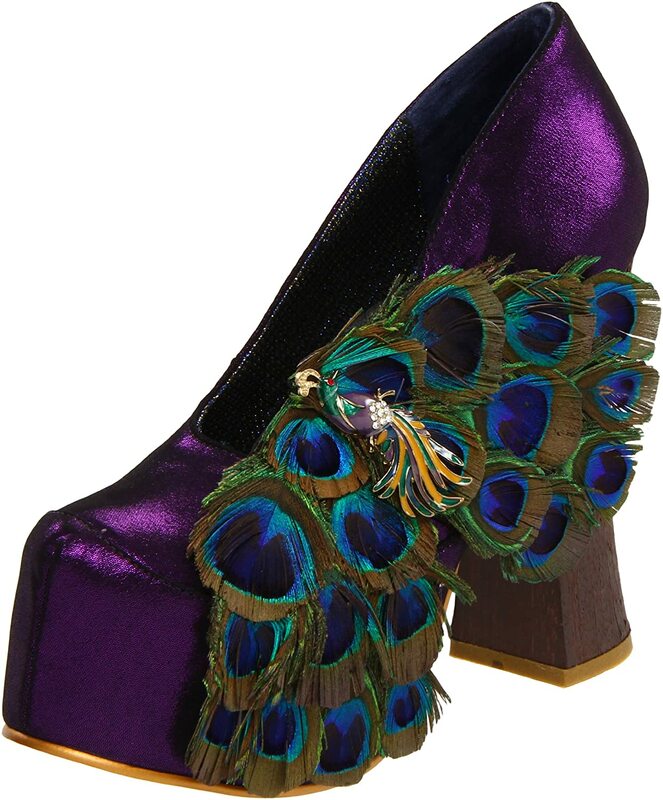 Irregular choice makes...*ahem* interesting shoes (just google 'Irregular Choice footwear' and you'll know what I mean.). One of their latest styles is called the "Best of All" shoe. So, what should the best shoe of all time have? A chunky heel? Yes, I do love chunky heels - stilettos are still the best, but every once in a while, I like to get my chunky on. Peacock print feathers? 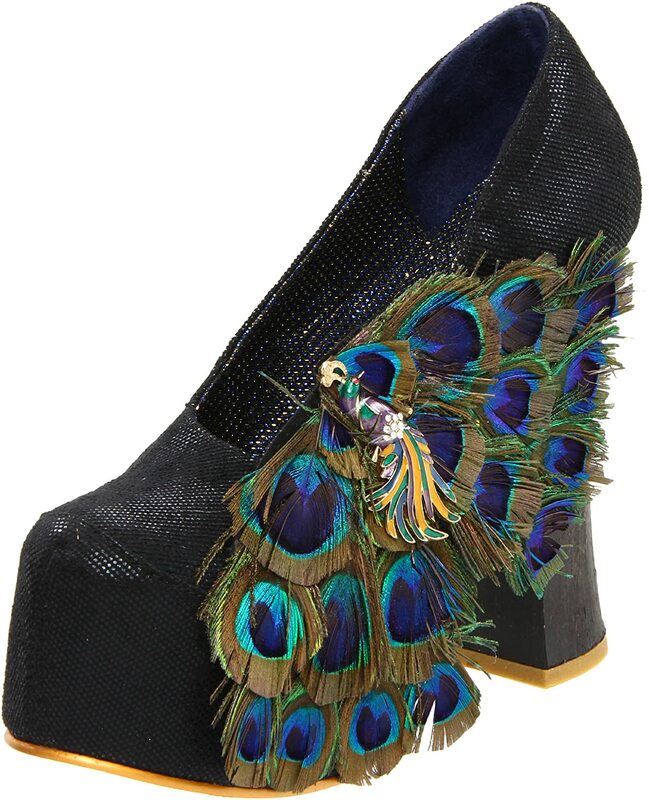 I love my peacock feather earrings, so why not on a shoe? That could work. Shiny satin upper? Um, yes! Especially purple! A large platform? Definitely! A platform pump is my perfect type of shoe. Seperately, these 4 things are golden! I would be incline to buy shoes with any of those features. IR did their research and chose some great features. The execution, on the other hand, ehhhh, could be better. What do you think? Thumbs up, or thumbs down? This is one of the more accessible IR shoes though. I'll give them that. I just don't know how this passes for a $215 shoe! Like it? Get them from Endless here.